With over 100 components and symbols, making Scratch truly unique is an easy feat. 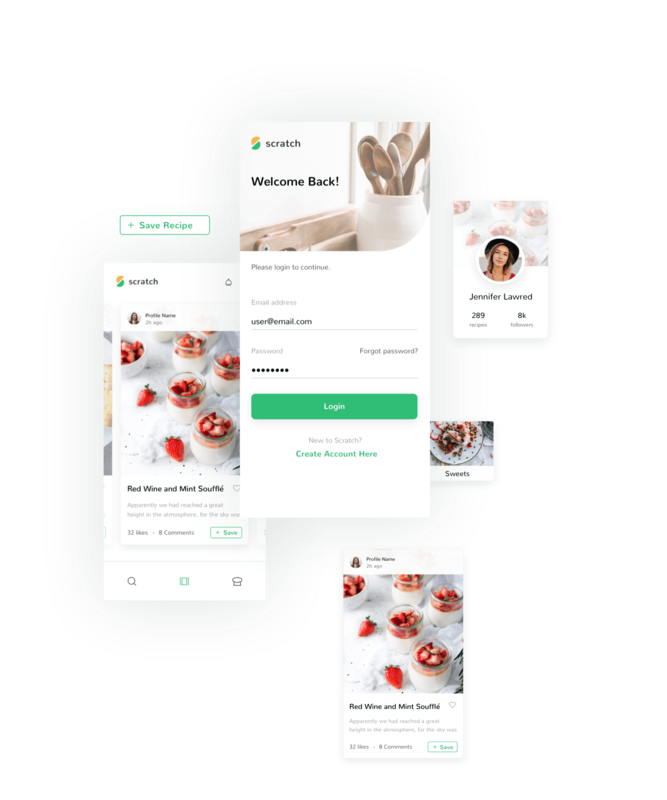 Change the look and feel with just a few clicks, and make the app as one-of-a-kind as your recipe book. 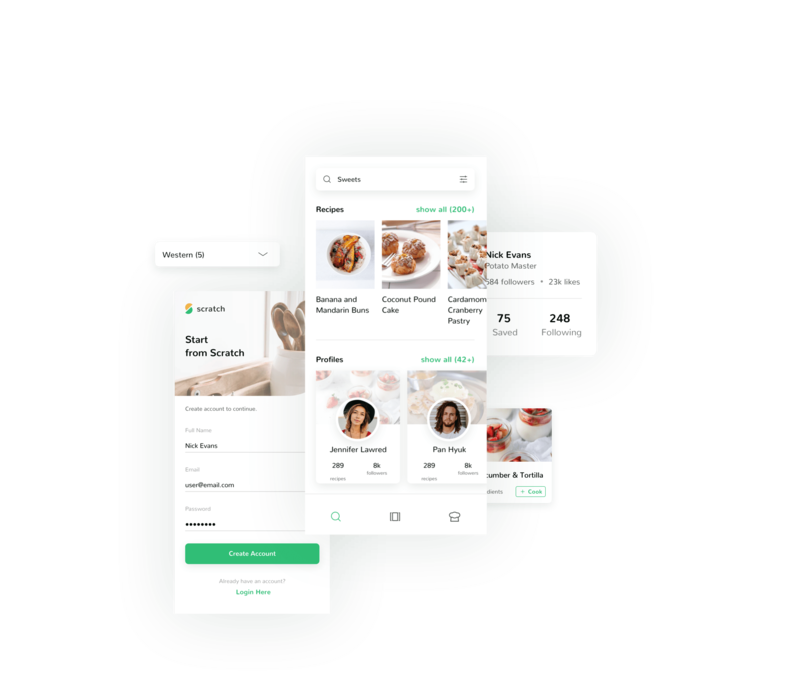 Scratch comes with screens for mobile, tablet, and desktop sizes, with enough states included so you don’t have to slave over a hot stove to complete the experience. Find inspiration for your next dinner party with assets designed to help you browse, collect, edit, and share mouth-watering meals. Scratch comes with an easy to edit component sheet to make sweeping changes across the kit, truly making it your own. Adjust one component on the sheet, and see it updated across every instance in the kit. When it strikes, hunger doesn’t care where you are, and neither does this app. With all 10 core screens created in desktop, tablet, and mobile sizes, Scratch could be used wherever hangry-you rears its ugly head. Scratch is designed with the idea that food should be shared, with screens for a news-like feed, searching, and even adding your own recipes to the network. Find that next great meal, or help someone else find yours. Some meals take every tool in your kitchen to create, but that doesn’t mean your recipe reading experience has to be equally complex. With screens for a focused Cooking Mode, Scratch lets you concentrate on making the food, and not trying to find what to do next.